Skyfall is winding down at the US box office and movie theaters across the world, but in China it just opened on Monday adding another $5.1 million to its total gross. That’s three times what Quantum of Solace did and a good 14% increase over The Dark Knight Rises which also opened in China on a Monday. Factoring this in to Skyfall’s worldwide total, it currently sits at $1.046 billion. This past weekend Skyfall passed the $300 million mark in the United States. James Bond loves his Aston Martin more than anything else…damage it and he might have to exercise his licence to kill! Check out CraveOnline‘s new comedy skit inspired by events in Skyfall. To discuss this video visit it on youtube or the CBn Forum thread. So, Adele keeps on being a award magnet – her SKYFALL title song scored the Golden Globe last night. Well, it would have been an upset if it hadn´t, judging from the lackluster competition. Now on, to the Oscars! And by the way, if the rumors are right Daniel Craig wants her and Mendes to come back for Bond 24. That, however, is less of a surprise than Jodie Foster´s remark about Daniel Craig´s behind during her acceptance speech. It’s old news that Skyfall became James Bond’s first billion dollar film, but if you adjusted for inflation (consumer price index), Thunderball was still on top in box office gross. Until today. Skyfall has finally managed to pass Thunderball’s $1.031 billion. Skyfall currently has $1.032 billion which is also (unadjusted) good enough for 11th all-time worldwide. And it still has China to go which will likely push 007’s 23rd film past this year’s The Dark Knight Rises making it #2 for 2012 behind The Avengers. In the United States Skyfall is just shy of $300 million and should cross that mark by next weekend. The Critics Choice Awards have been given out to Daniel Craig for BEST ACTOR IN AN ACTION MOVIE, and SKYFALL for BEST ACTION FILM. That´s especially nice after the Oscars shut out SKYFALL from the main categories. The latest 007 adventure triumphed at the CCA over fellow worthy nominees THE AVENGERS, THE DARK KNIGHT RISES and LOOPER. Pretty nice, even if Javier Bardem, Judi Dench and Roger Deakins lost in their categories. Well, no Best Picture nomination for SKYFALL, and no acting nomination either. BEST CINEMATOGRAPHY (Roger Deakins), BEST ORIGINAL SCORE (Thomas Newman) BEST ORIGINAL SONG (Adele), BEST ORIGINAL SOUND MIXING and BEST ORIGINAL SOUND EDITING. Stil, the Oscars will honor James Bond with a special tribute! The BAFTAs love 007 this year: SKYFALL is nominated in eight categories, including Best Supporting Actor/Actress (Javier Bardem/Judi Dench), Best Cinematography (Roger Deakins) and Best Original Score (Thomas Newman). In a year that has lots of strong contenders, managing to get in there with the big guns of “Lincoln”, “Django Unchained”, “Zero Dark Thirty”, “Life of Pi” and “Les Misérables” is quite a feat for a 23rd installment of a spy franchise. 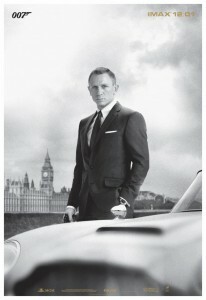 James Bond will be part of this year´s Oscars – whether SKYFALL will be nominated or not. The producers of the upcoming Academy Awards are planning a special segment that will celebrate this series´ enduring success. Great news that will also remind voters on their last day to… well, honor this very special secret agent. During the last weeks of 2012 we could witness award nominations for Judi Dench and Javier Bardem. But now the game has changed completely: the prestigious Producers Guild has nominated SKYFALL as one of their top 10 film productions of 2012. This really makes SKYFALL a serious contender for a Best Picture nomination at the upcoming Academy Awards. 00 Heaven! Skyfall hits $1 Billion! 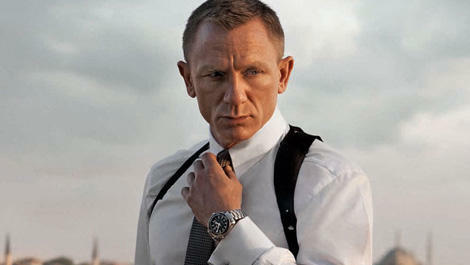 It was announced today that SKYFALL, the 23rd James Bond adventure, has surpassed $1 billion at the worldwide box office. SKYFALL is the most successful Bond film of all time, the highest-grossing film of all time in the UK, the first film to pass £100 million at the UK box office and it is also the most successful film at the worldwide box office in Sony Pictures history. Skyfall took in $4.6 million this weekend in North America for a cumulative to date of $289.6 million. Overseas, the film grossed $10.3 million for an international total to date of $710.6 million and a worldwide cumulative exceeding $1 billion and growing. 2012 proves that nobody does it better than James Bond. The 23rd film in the franchise has this hit the billion mark! Congratulations to Michael G Wilson, Barbara Broccoli, Sam Mendes, Daniel Craig and everyone else involved for making ‘Skyfall’ one of the biggest James Bond films of all time.